When you are connecting a radio system to a SoftRadio dispatcher you will be using interface boxes connected to donor radios that are part of the larger radio net. This is no longer needed for DAMM Tetra systems. 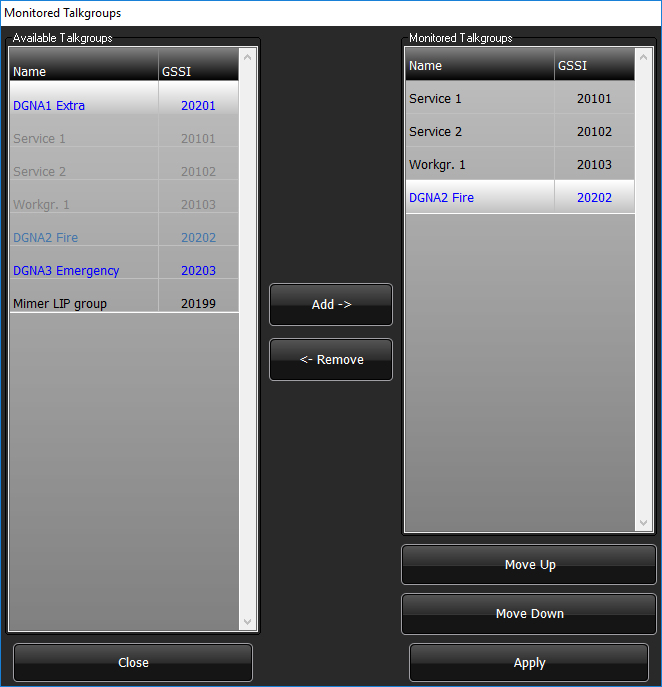 We have created a new software option that allows a SoftRadio dispatcher to connect directly to the DAMM Tetra infrastructure via a TCP/IP connection. The DAMM system appears in Mimer just like other radios do. Private calls to and from the operator as well as group calls and messages can be handled. All other Mimer SoftRadio connected devices are available simultaneously, like Airband or Marine radios as well as phones and intercoms. The DAMM private calls and talk group calls works just like any other radio calls in the SoftRadio system, so that they can be crosspatched to other groups, radios & phones. Local use when the operator is located where the Tetra system is. 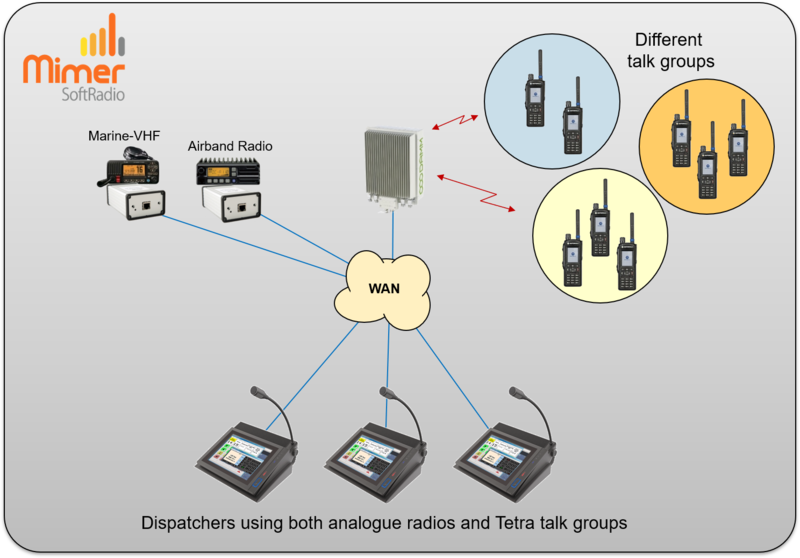 CrossPatch between Tetra and other two way radios, like analogue, Marine, DMR or Airband. 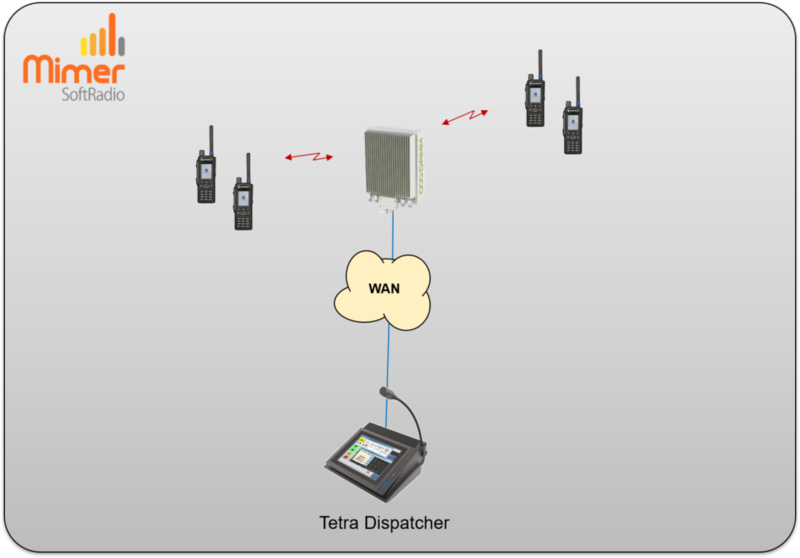 We have tried to reflect the operators most important needs when monitoring and talking to the Tetra users. All those functions are easily accessible, while other functions are hidden or not even implemented since they are just in the way of daily use. 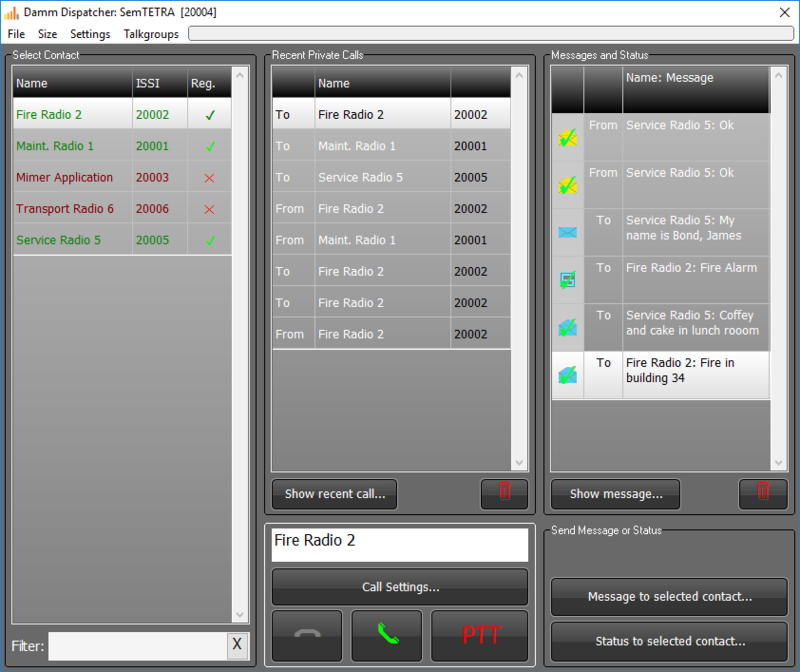 The operator will see a GUI that looks and behaves very much like standard SoftRadio does for other radio types. Each connected Talk group will be represented with a device panel that lets the operator make calls and answer calls. All groups can be monitored in parallel and at the same time as other radio communication. When there are settings to do, or a message to send, device windows, much like the virtual control heads for radios, can be opened. In the standard GUI for SoftRadio you will see one device panel for each attached talk group and one device panel for the system itself. 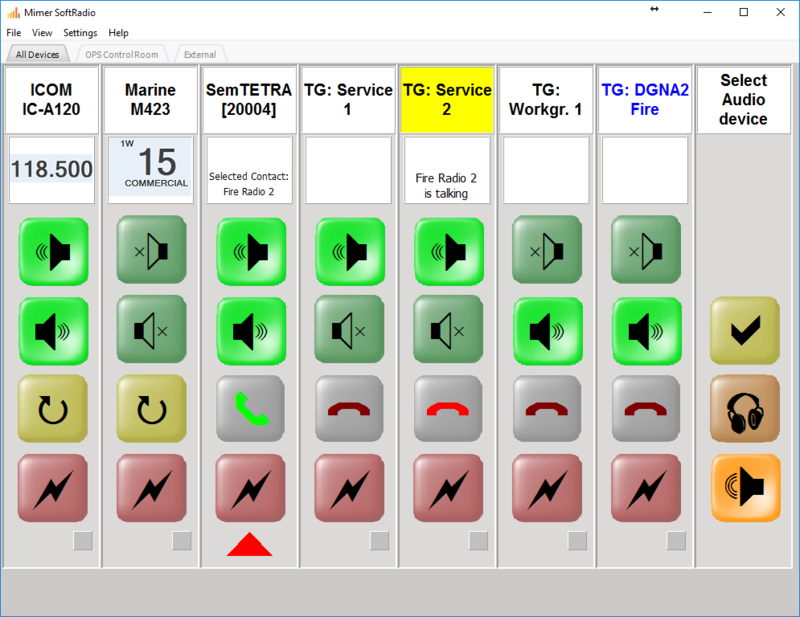 In this example also one marine radio and one airband radio are connected to the same GUI. Opening the window of the systems device panel shows a list of attached radios, a history list of calls and a history list of SDS and status messages. Here you also choose radios for private calls and for messages. 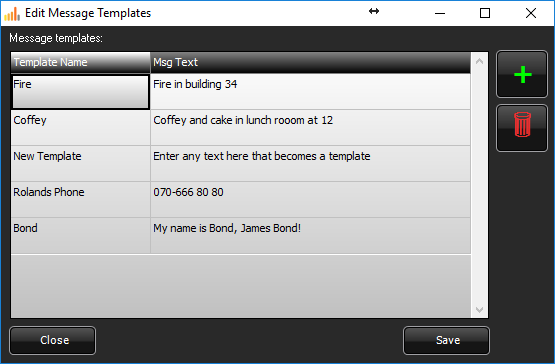 Each operator can choose which talk groups to monitor through an easy to use graphic interface. 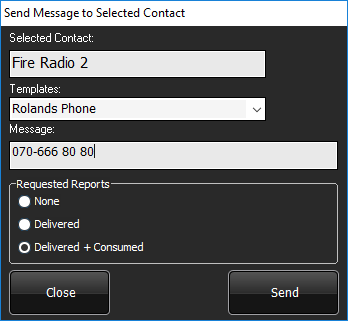 When sending an SDS message, the operator can choose different levels of reports on the message. In the history list this will be reflected by different icons depending on the messages status. Templates can be set up for messages that are sent often. Both incoming and outgoing calls can have different priorities whith emergency as the highest. This will be reflected with a pink colour and incoming emergency calls will get an audible signal so that the operators does not miss the call.